After over a decade spent engaged in humanitarian work with the United Nations and years of self-teaching in the culinary arts, Selassie Atadika completed course work at the Culinary Institute of America. She is a founding member of Trio Toque, the first nomadic restaurant in Dakar, Senegal. 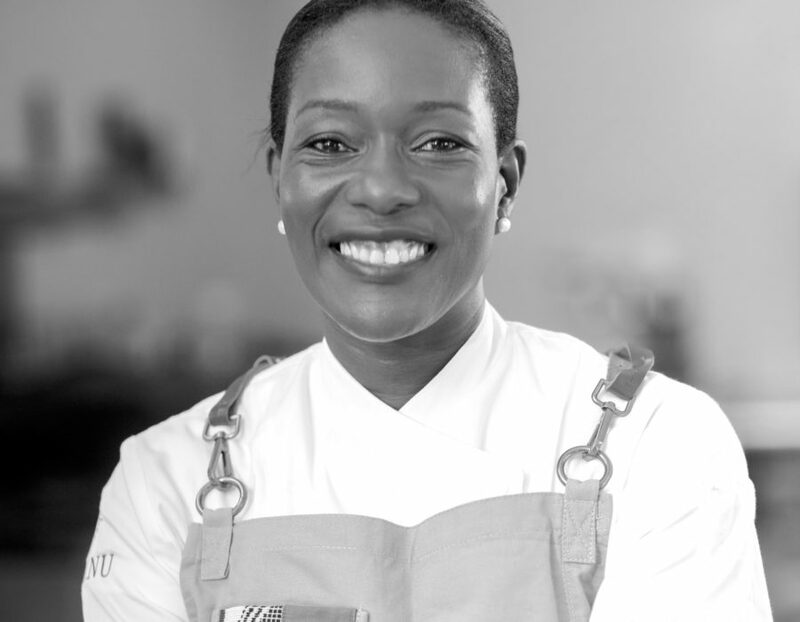 Atadika brought her innovative approach to African cuisine back home in 2014. Her food enterprise is Midunu, a nomadic and private dining enterprise in Accra which embodies ‘New African Cuisine’. Midunu is a culinary lifestyle company that celebrates Africa’s cultural and culinary heritage. Its goal is to create experiences where culture, community and cuisine intersect. Midunu employs local, seasonal, and underutilized ingredients including traditional grains and proteins to deliver Africa’s bounty to the table. With an eye towards biodiversity and sustainability, it curates white-linen nomadic events, private dining, retail and lifestyle products, and a bespoke event space. Midunu’s Nomadic Dinners have attracted attention with diners from five continents. A favored part of the Midunu dining experience is its final course- their delectable handcrafted chocolate truffles. Chef Selassie Atadika is in the process of launching the Midunu Institute. The pilot project of the institute will undertake documentation of existing culinary practices in 3 of the 10 regions of Ghana by youth ambassadors to kick off a national conversation among youth and middle-class consumers about food, agriculture and culture. This research will be combined with a multi-media behavior change campaign showcasing challenges and successes in local food systems as well as exhibiting the culinary uses of regional ingredients, while contributing to the protection of culture and heritage.